When we think about what it means to live a healthy life, there are certain truths we take for granted. We know that we should avoid tobacco, maintain a healthy weight and diet, drink enough water, and exercise. But at what point did these truths become common knowledge? What scientific discoveries led to our current understanding of health? 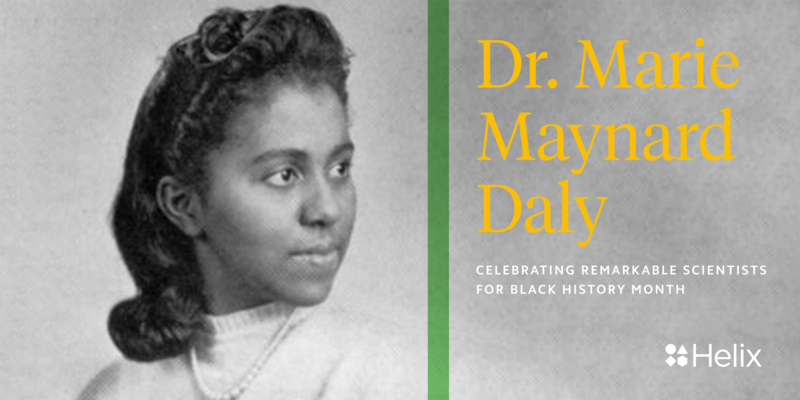 One scientist whose work contributed to this was Dr. Marie Maynard Daly, whose pioneering research resulted in a new understanding of the relationship between high cholesterol and clogged arteries. In fact, Daly’s work helped to shape much of what we now know about the biochemical aspects of cardiovascular health. Cholesterol is a naturally occurring substance found in our circulatory systems. It plays a vital role in metabolism, is a precursor to many hormones, and helps build cell membranes. Our bodies produce cholesterol on their own, but we also consume it when we eat animal products such as meat, poultry, and dairy1. In order to regulate the distribution in our bodies, lipoproteins transport cholesterol through our circulatory system and deposit it in the liver, where it can be metabolized. We know that there are two types of lipoproteins that perform this task: Low Density Lipoproteins (LDLs) and High Density Lipoproteins (HDLs). LDLs are considered “bad” because they contribute to cholesterol buildup in blood vessels, which can ultimately result in restricted blood flow and an increased risk of heart attack or stroke1. Dr. Daly’s research contributed to identifying the link between high cholesterol levels and cardiovascular disease, which led to a better understanding of the causes of heart attacks2. As a woman of color, Dr. Daly overcame financial, gender, and racial hurdles to eventually become the trailblazer that she was. She came from a family that placed great value on education; in fact, her father had enrolled at Cornell University with the goal of becoming a chemist, but had to withdraw due to the high cost of tuition1. Daly continued her father’s legacy by becoming the first African American woman to earn a PhD in chemistry in the United States. Notably, Daly made significant contributions to the field of biochemistry while also advocating for increased enrollment of students of color in medical schools and science graduate programs1. In honor of her father, she even created a scholarship program for minority students pursuing science degrees at Queens College2. Dr. Daly’s impact on future generations of scientists extends far beyond her scientific contributions—her memory continues to inspire individuals from all walks of life to pursue careers in STEM. 1Tabas, Ira. “Cholesterol in Health and Disease.” The Journal of Clinical Investigation 110.5 (2002): 583–590. PMC. Web. 23 Feb. 2018. 2Carey Jr, Charles W. African Americans in Science: An Encyclopedia of People and Progress, Volume One. Santa Barbara: ABC-CLIO, 2008. Print.